My husband and I enjoy volunteering in our church nursery. I did not feel so positive when I endured 24/7 baby duty because of Steve’s busy medical practice. Our mean babies eventually morphed into nice human beings, but began their lives eager to destroy mine. The little insomniacs suffered from 13 kinds of colic. People who told me to “enjoy these years — they pass so quickly” were removed from my Christmas card list. Church nursery duty became a purgatory where diaper duty multiplied a dozen times over. My ex-Christmas-card correspondents, however, proved correct. My nestlings flew away to give birth to mean babies of their own. At least, so say their parents. I, however, have grown in wisdom, now recognizing perfection. I just don’t get to hold it enough. So I get a “grandma fix” in the church nursery. There, Steve and I are surrounded with bright eyes, dimpled elbows, and plump baby toes like rows of June peas. “Waaaaaaaah!” Several small charges do not feel so positive. Steve and I introduce them to the sacred ritual of fellowship (translation: “eating”). Cheerios aren’t nearly as yummy as the official adult version of fellowship (doughnuts), but sufficient to dry tears. One upset toddler speaks a language I studied long ago, but don’t remember. Eventually Steve solves the mystery: we served her Cheerios in a paper cup; other nursery workers had placed them on a paper towel. When he brings her one, a brilliant smile rewards him. A family doctor for decades, Steve is good with babies. At 6’3”, he appears a bearded giant, so he sits on the floor to play trucks or tea party. One tiny girl plops onto his lap. She recognizes a grandpa when she sees one. His eyes light up, and he’s in love. I don’t mind, though she is young and beautiful. We hug, kiss and play. We read, rock, referee … and rescue. Why do engineers spend thousands of hours designing machines of perpetual motion when a church nursery outshines them all? Darling munchkins crawl, whirl, fight, giggle, pile, knock down, throw, grab and climb. A mother appears, and one cutie erupts with joy, setting off a stampede. Fortunately, more parents soon show up. 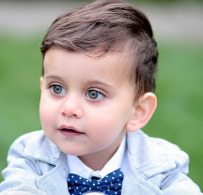 A large, unclaimed toddler saves his worst for last: a diaper that could empty the church. My nursery-warrior husband braves disaster and presents him clean and sweet-smelling to his folks. Suddenly, the nursery is still. Our wild, wonderful little friends have gone home to long afternoon naps. But none as long as ours. 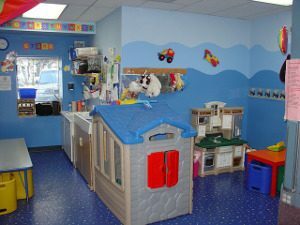 Have you ever served in a nursery? What was your most memorable baby moment? This entry was posted in Coffee Corner and tagged Babies, children, Church, Faith, Family, Grandchildren, Humor, Rachael O. Phillips on November 30, 2016 by rachael. Lol, Becky! A truly relevant interpretation of Scripture 🙂 Actually, it’s a wonder anyone sleeps in a nursery! My word, with your kids nearby, you have your own built-in nursery, don’t you? I think you’re one of those grandmas who need a break as much as Mom and Dad! Hope you’re taking it, busy lady. Christmas blessings on you and your family as we celebrate the birth of a Baby who changed the world forever.